Gantry hoists are similar to ceiling hoists, the hoist motor traverses along an overhead rail, but rather than being fixed to the ceiling they can be semi portable or completely free standing. Gantry hoist systems are used for a number reasons. They are often used if it isn't possible to install a ceiling hoist or if permission for a ceiling hoist has been refused by a landlord or tenants agreement. 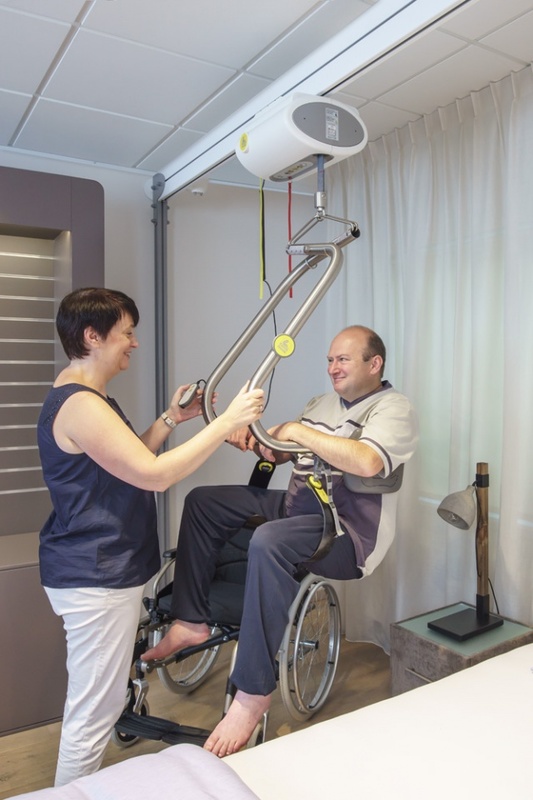 Some people with a disability will use them when travelling and care facilities may use them if they need a lifting solution in more than one room. We have a selection of gantry hoists to suit most requirements. Overhead hoist solution which doesn't need wall or ceiling fixings. Can be used as a temporary or permanent solution. The width and height can be adjusted to suit the available area. Compatible with a Handi-Move ceiling motor or portable motor. The Easytrack FS Gantry System is a lightweight, free-standing portable overhead track system, based on many of the same principles as the current Easytrack range. 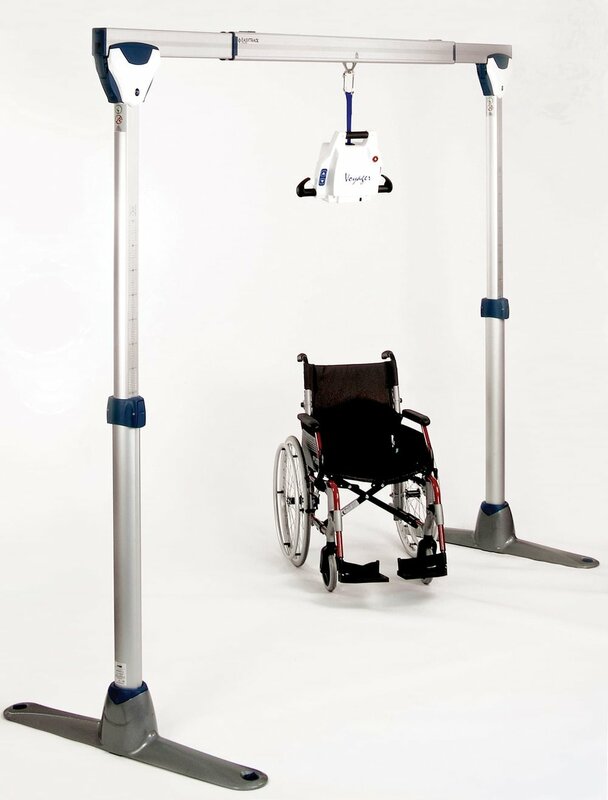 The Easytrack FS does not rely on support from the ceiling and it can be used with the Oxford Voyager Portable or other portable hoist motors such as the Arjo Maxi Sky 440 and Handi-Move 2540. The Easytrack Semi Portable gantry system is an overhead portable track designed for use with portable hoist motors. It doesn't use any permanent fixings and requires no structural alterations to the walls or ceiling. The Easytrack can be assembled in 5 or 10 minutes by just one person. Can be used with the Oxford Voyager Portable or other portable hoist motors such as the Arjo Maxi Sky 440 and Handi-Move 2540. Available in 2, 3 or 4 post options in a variety of configurations.